The Mitsubishi Outlander Sport is a compact crossover and the automaker's most popular model. Despite a name similar to the larger Outlander crossover, it looks more like a tall five-door hatchback than a truck-like utility vehicle. Its trim levels start with the base ES, move up to the mid-level SE, and top out with the SEL model. Wider active safety tech availability marked 2019 for the Outlander Sport. With the Outlander Sport, Mitsubishi has a rival for a wide range of vehicles including the Kia Sportage, Mazda CX-5, Honda CR-V, Hyundai Tucson, and Toyota RAV4. A group of newer small crossover models now arriving on the scene—include the Honda HR-V, Mazda CX-3, Jeep Renegade, Fiat 500X, and Chevy Trax—is likely to also give the littlest Outlander stiff competition. The Outlander Sport dates back to the 2011 model year, with a handful of changes each year following a more visible front redesign. 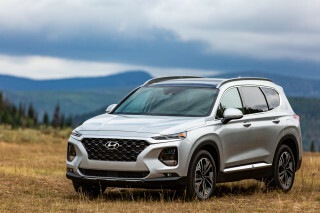 It's gradually acquired more standard features and trimmed down the variety of models offered, though it is now outranked on multiple fronts by newer challengers. Its main attraction continues to lie in its low starting price of around $21,000. Changes in 2017 included better seat fabric for the base ES model, standard automatic climate control in every version, a shark-fin antenna for the roof, and a few added features. In 2016, the Outlander Sport gained a restyled nose that made it more resemble the bigger Outlander. The "Dynamic Shield" grille is the maker's latest styling idiom, though it's busier and more cluttered on the smaller model. 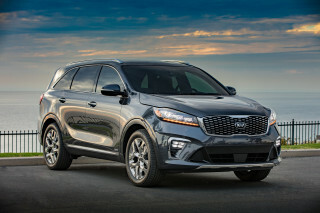 A handful of trim and equipment upgrades in 2016 added to the optional 2.4-liter engine introduced for 2015 to give the car a wide range of models and trim levels ranging from $20,000 to $30,000. The Sport is derived from the current Lancer sedan platform, with a 4-cylinder engine driving the front or all four wheels. 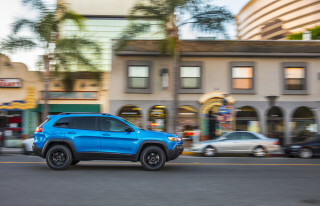 Base models include a 5-speed manual transmission but can be optioned with a continuously variable transmission (CVT) that is standard on all other trims. Mitsubishi's smallest crossover was first offered in the U.S. for the 2011 model year. Since then, it has benefited from a series of minor updates. Known as the ASX or RVR in other markets, the Outlander Sport is the struggling Japanese automaker's entry into the crowded small-crossover segment. Its short length could almost qualify it as a subcompact, while clever packaging means it retains more interior space within its smaller footprint than some longer rivals. The Sport's front end bears a resemblance to the larger Outlander. It's profile is more sporty hatchback than crossover or SUV, and the dimensions are tidy. The same carlike feel extends to the interior, with a practical layout and a high roof. Seats are supportive, three kids or two adults will fit comfortably in the back seat, and there's a low cargo floor for easy loading. The Outlander Sport's fault, like other Mitsubishis, is material feel that's below that of competitors and a lot of cabin noise, making the vehicle seem very much like it was built to a price. Originally, all Outlander Sport models came with a 148-horsepower, 2.0-liter 4-cylinder engine. Buyers could choose a CVT or opt to shift for themselves with a 5-speed manual gearbox with this engine. The manual was our choice, without hesitation, because the CVT made the engine feel sluggish and sound boomy, especially on the highway. Fuel economy was unremarkable at 25 mpg city, 32 highway in the most efficient configuration. 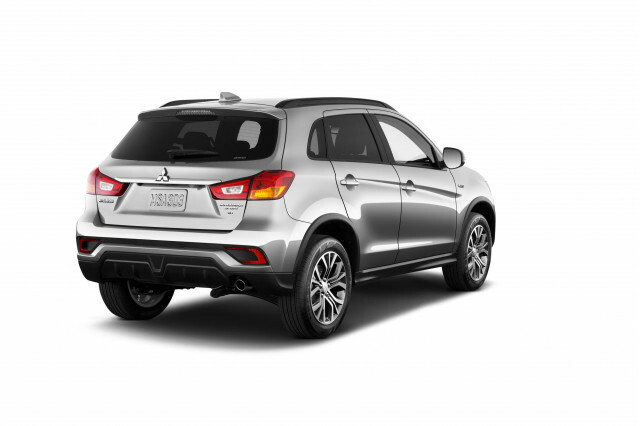 For 2015, Mitsubishi added an optional 2.4-liter 4-cylinder on two upper trim levels—SE and the newly added GT. The 2.4 puts out 168 hp and 167 lb-ft of torque. The engine is available with either front- or all-wheel drive and comes paired exclusively with a version of the brand's continuously variable transmission. Front-drive models return fuel economy ratings of 23 mpg city, 28 highway with all-wheel drive lowering those numbers slightly. The Outlander Sport stands out as a strong value for the money, especially considering that the base model starts at just over $20,000. Even at the base level, front knee airbags are a standard safety feature you won't find in many other models, and keyless entry, automatic climate control, and a 140-watt sound system are all included. 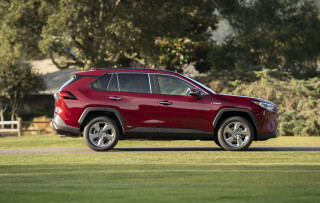 Top-of-the-line SE models include a panoramic sunroof, premium audio, and heated seats. Road noise has been an issue since the Outlander Sport was launched—although Mitsubishi reported a few improvements for 2012, including much needed additional sound insulation. Then for 2013, the model also received a modestly redesigned (and smoother) version of the shark-like front end, plus a new bumper design and revised lower-body trim. Mitsubishi further updated the feature list for 2013 as well, adding standard alloy wheels on all trim levels, with new seat fabrics—and even more noise insulation, possibly soothing some of the harsh, low-rent impression. For 2014, the Outlander Sport got a new touch-screen audio system on SE models, as well as a new seven-inch touch-panel navigation system with real-time traffic. It's bundled with black leather seating as part of an SE Touring Package. 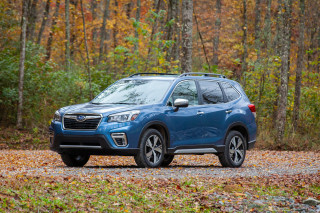 In addition to the 2.4-liter engine and new GT trim level, the 2015 model year also brought another round of refinement improvements, adding a new version of the CVT with better off-the-line performance and slightly better highway fuel economy (a 1-mpg improvement), plus yet more noise insulation. I have had it for 6 months now and after reading the reviews on the different sites I was a bit hesitant to get this vehicle. But after reading reviews from people that bought this SUV, I decided to get it... I have had it for 6 months now and after reading the reviews on the different sites I was a bit hesitant to get this vehicle. But after reading reviews from people that bought this SUV, I decided to get it. That was the best decision that I made. It takes me anywhere I want city, highway, mountains, snow or sun with no problem. I'm enjoying every minute I drive it. Just bought recently but very satisiedwith this automobile.